This method is based on the vibrations of molecules excited by infrared radiation. 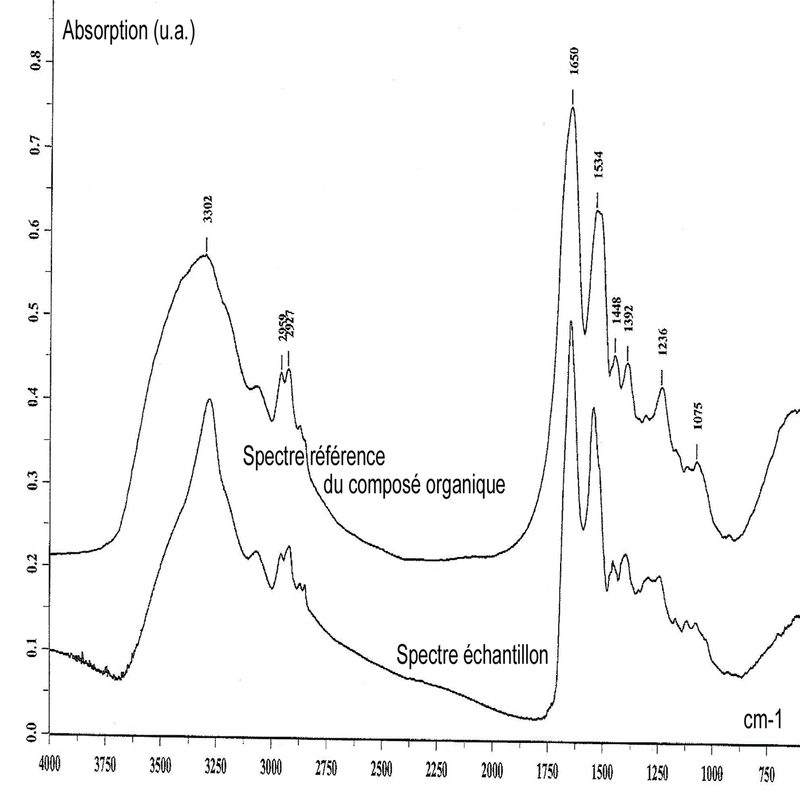 The vibration wavelengths being specific for classes of molecules, a spectrum allows the identification of organic compounds and minerals. A sample of small size is prepared so as to allow the passage of infrared radiation in its thickness (transmission mode). The residual radiation, after absorption of the wavelengths by the vibrating molecules, is recorded and processed (Fourier transform). 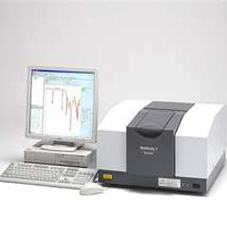 Comparing the spectrum obtained with databases allows the identification of molecules present in the compound. 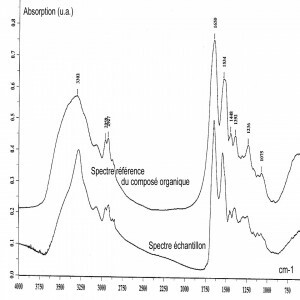 One of the advantages of this method in our field of application is the characterization of organic molecules, inaccessible by other approaches.